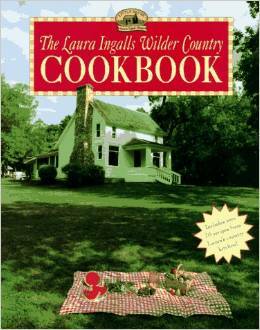 When I first glanced through The Laura Ingalls Wilder Country Cookbook I wasn't particularly impressed. But I was wrong. 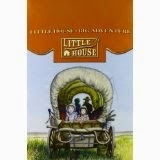 It's a truly delightful cookbook both for folks who like hearty recipes and for Laura Ingalls Wilder fans who desire to know more about her adult life and her home in Mansfield, Missouri. 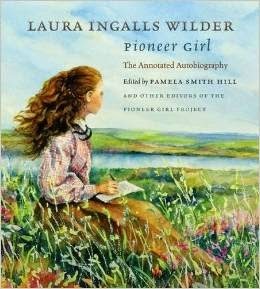 Nearly every page spread throughout The Laura Ingalls Wilder Country Cookbook has a photograph, adult biographical information, and a recipe from Laura's actual collection. Her cookbook was found waterlogged and wrinkled long after her death. I found it most interesting that LIW created a scrapbook cookbook. Her recipes were pasted upon an invoice book which had been Almanzo's when he delivered fuel oil. The recipes included in The LIW Country Cookbook were tested and updated for a modern kitchen (instead of Laura's wood-burning cookstove). I wonder if the canned items included were part of the adaptation or if Laura really used canned vegetables. I've already tried Laura's gingerbread. It was delicious fresh out of the oven. However the next day it was a bit drier than I'd prefer. However, it was my first gingerbread. Maybe they are always like that. I also wan to try Laura's farmhouse stew and henny penny muffins. Lots of expected hearty farmer-friendly meals are included in this cookbook. Readers may be surprised by some recipes like brioche, Creole chicken gumbo, and pork pie with oysters. Did you see the dried apples recipe I shared? That was not in the cookbook, but I'm sure Laura knew how to make dried apples from her days as a girl.